The Nokia Drive 2.0 version we saw back at MWC 2012 is finally set to release for next week. Sander Teunissen, sales manager at Nokia Netherlands, shared the release information via Twitter. 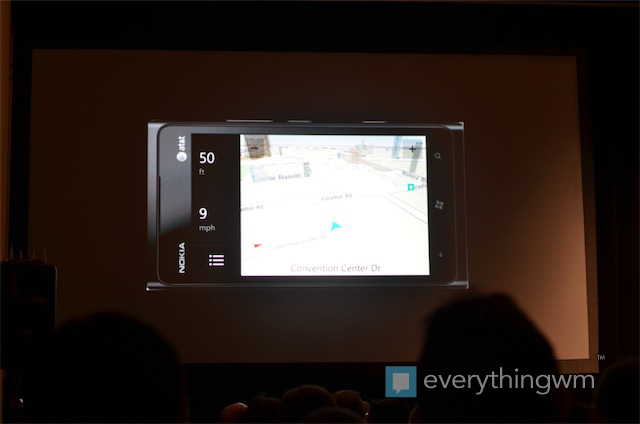 Teunissen confirmed that Nokia Drive 2.0 brings the long awaited offline navigation feature. He also mentioned lane assistance, which is new to us, not included in the features revealed at MWC 2012 at least. When Nokia Drive 2.0 was shown off at MWC 2012 no lane assistance was noted, simply offline navigation, speed limit notifications, and advanced dashboard view. The fact that they also added something as awesome as lane assistance, and Nokia Drive is a free application on all Nokia Windows Phones, just makes it ten times better. The application will remain a Nokia Windows Phone exclusive. Enjoy Drive 2.0 Nokia Windows Phone users, and look out for the already announced Drive 3.0 soon!